From dark stouts to pale ales, chardonnays to zinfandels, it’s bottoms up, as the North Texas Beer and Wine Festival makes its return Saturday, May 10, 2014 the Irving Convention Center at Las Colinas. The North Texas Beer and Wine Festival is North Texas’ premier event dedicated to educating attendees about craft beer culture and brewers – and is the best place to find your new favorite brew. More than 50 breweries will sponsor the festival, ranging from Samuel Adams and Franconia to New Belgium, Imperial and Magic Hat, including the newest DFW brewery, Shannon Brewing Company from Keller which will make its debut at the event. From ales to lagers, well-known brands to newbies on the scene, all styles of beer will be represented at the festival. A full list of sponsoring breweries can be found online at http://www.northtexasbeerfestival.com. Wine lovers are not forgotten, as there will be plenty to swirl and taste. Featured wineries will include Landon, Fiesta, Paris, Maydelle and Dionisio among others. Guests can purchase samples, wine by the glass or by the bottle directly from the wineries represented. One of the most popular attractions is the Culinary Corner, a chef stage with demonstrations on cooking with your favorite beer and pairing dishes with beer. Chef John Franke of Whiskey Cake, Grant Morgan from The Ranch at Las Colinas and Josh Garcia from Velvet Taco will perform culinary demos and provide samples to the attendees. The 50,000-square-foot main conference hall at the Irving Convention Center at Las Colinas and the second floor terrace will play host to a variety of activities, including tastings, home brewing classes and will feature more than 100 exhibitors with everything from beers to home brewing kits, wine sampling, gourmet foods, cigars and more. The Beer Garden on the beautiful, second-floor terrace will feature Dallas’ own Maylee Thomas and Fort Worth’s Ashmore will be performing on the main stage overlooking Las Colinas and the Dallas skyline. Educational sessions will be held in Brewers’ Breakout on the main floor, with brewers and brewery representatives speaking on a variety of topics, including Christopher Hubbard from North American Breweries. Christopher is one of 37 Certified Cicerones in the state of Texas and will be doing a session on the Cicerone Program. Designated drivers, don’t despair! The North Texas Beer and Wine Festival advocates the responsible consumption of alcohol, and is particularly fond of designated drivers. A special ticket price of $20 and a wristband designating that person as a “DD” gets them into the event to not miss out on any of the fun or education. 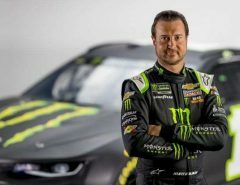 Coca-Cola is sponsoring the designated driver program and will offer the DDs complimentary soft drinks and bottled water. To officially kick off the North Texas Beer and Wine Festival, a special event is planned at the new Twin Peaks Brewery in Valley Ranch on Friday May 9, 2014. A key mission of the North Texas Beer and Wine Festival is to give back to the community. This year’s event will again benefit charities including Honor Flight DFW, the Veteran Falls Memorial and the Veteran Tickets Foundation. Honor Flight DFW (http://www.HonorFlightDFW.org) veterans will be at the event to offer attendees the opportunity to “Handshake a Hero” and thank them for their service. Honor Flight DFW is presented by Andrews Distributing, and will also benefit from a silent auction of sports memorabilia, one-of-a-kind items from the brewers and local businesses, event tickets and more at the event. 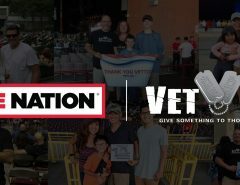 Also, tickets for the North Texas Beer and Wine Festival will be available free to veterans through http://www.VetTix.org. The North Texas Beer and Wine Festival is Saturday, May 10, 2014, from 2 to 7 p.m. at the Irving Convention Center at Las Colinas at 500 W. Las Colinas Blvd., Irving, TX. General admission tickets are $30 on EventBrite.com (a link can be found online at http://www.NorthTexasBeerFestival.com) and $40 at the door. This all-inclusive price includes entry into all home brewing classes, keynote speakers and culinary demonstrations. In addition to entry into the event, each ticket also includes 12 two-ounce beer samples. A limited number of VIP tickets are also available which allow early entry at 1 p.m. and the after party with live music until 10 p.m. Early bird tickets are available through April 10th which reduces the cost of all tickets by $5. Additional samples and full pours can be purchased at the event. 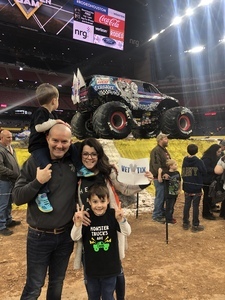 Thank you so much for bringing joy to our family at a Monster Truck Show (it was a first for mom and kids). The screams of excitement during the show from both of them were priceless. 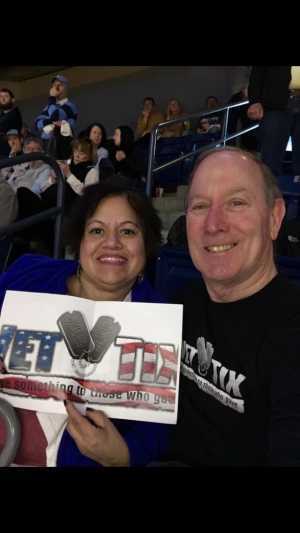 Thank you for allowing us to experience it. 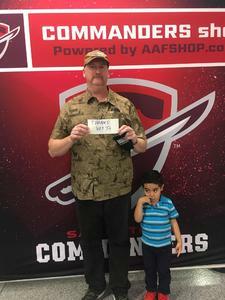 Thank you San Antonio Commanders AAF thanks vet tix for allowing my Family and myself to attend this event. 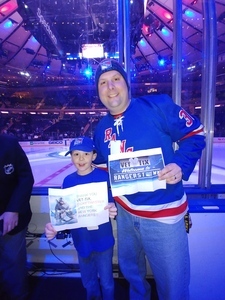 Thank you very much to Ticketmaster and the New York Rangers for giving my son a birthday present he will never forget! My son and I had an awesome time, to be able to sit in the penalty box and watch our favorite sports team that close was amazing! It was topped off by #26 Jimmy Vesey giving my son a puck and then seeing Vesey score a goal later in the game was unbelievable! 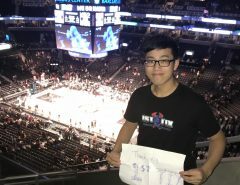 I would never have been able to do this for my son on my own and for VetTix and Ticketmaster to set up this VIP experience is just amazing. My son and I are very grateful to have had this experience!